Epson's Runsense range gets more confusing by the week. The latest model, the Epson Runsense SF-110, adds daily activity tracking features to the GPS running skill-set of the SF-310. Explained: How does GPS work? Like the Polar M400 and the Garmin Vivoactive, the Runsense SF-110 combines the features of a fitness tracker - so step, calorie and distance walked - along with the sorts of metrics you'd expect from a GPS enabled running watch. Runners will be able to see distance, pace, time, laps, altitude and other stats on three customisable watch faces, with a total of nine real time measurements on offer. "The Runsense SF-110's unique combination of features is perfect for the person with an active lifestyle who wants to understand more about their fitness and running progress," said Randy Bergstedt ofEpson Active. 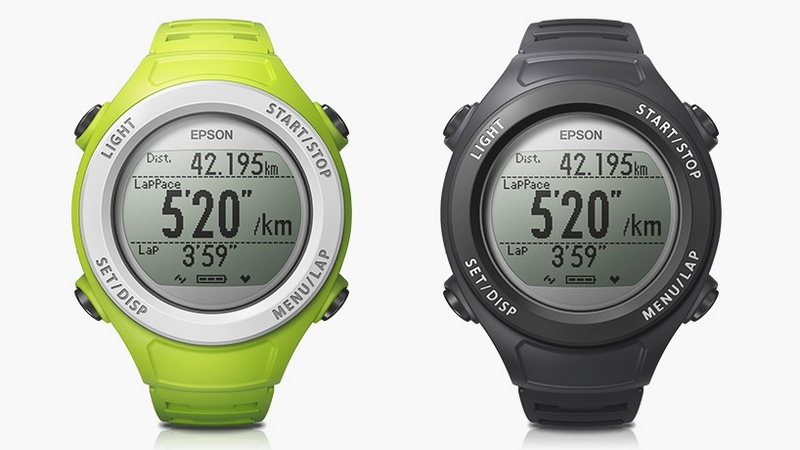 "The product is the latest in our line of GPS running watches and reflects Epson's commitment to developing a full suite of wearables for the sports and fitness lifestyle." Epson recently announced that Runsense devices can be synced with RunKeeper, and the popular fitness app, as well as the likes MapMyRun and Strava, all play nicely with the SF-110. In terms of battery life, you can expect a full week of fitness tracking or 10 hours with GPS turned on. A-GPS is on board for faster satellite locking as well. Available in three colours, the main selling point of the SF-110 is its price tag - coming in cheaper than its Garmin and Polar rivals at $169.99. You don't get the smartwatch-style notifications, however.